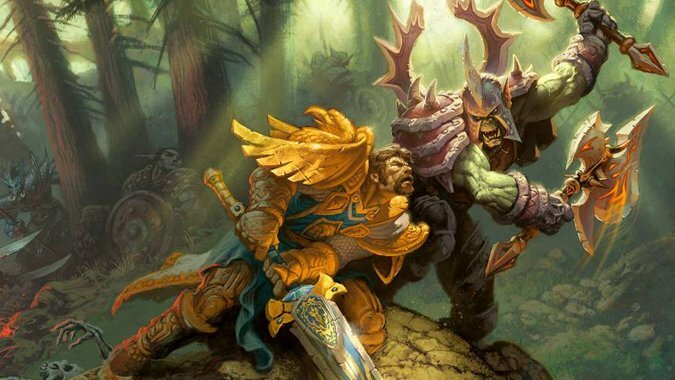 How would you feel about World of Warcraft's faction conflict continuing for several more expansions? How would you feel about World of Warcraft’s faction conflict continuing for several more expansions? Hey! I said to put the pitchforks down! I’m not done yet. Ahem. Right. I like the idea of the faction conflict as a through line. I think it’s a great way to “put the ‘war’ in Warcraft.” But I think its biggest issue so far hasn’t been believability or the power to tell a compelling story — I think it’s that it gets dropped too quickly after it gets brought up. Every time the faction conflict comes into play, some Big Bad shows up and we have to join forces to stop it from killing us all. …But what if we didn’t team up? What if we had to continue the ongoing war while also dealing with bigger threats? Heck, what if those bigger threats had sub-factions that we could work with (or against)? I’d find the story of us fighting, say, Azshara a lot more compelling if each faction ended up working with a contingent of Naga or other Azshara-adjacent race to gain a foothold in our fight, rather than both factions teaming up to defeat her. I know this is probably an easy topic to dismiss with, “Take it away” — but please think for a moment before answering. What if WoW had had the faction conflict as its backbone all along? Same overall stories. But more faction conflict weaved in. Could you see that working moving forward? If so, for how long? Really, how long should the faction conflict continue? Better yet, how long would it need to continue for you to be okay with it as the backbone of the game’s story?